It’s true. The average vegetable or fruit produced today has significantly less vitamins and minerals than the varieties that were grown decades ago. And this decline in nutrients has been taking place for at least 50 or 60 years. How Much Have The Nutrients In Fruits And Vegetables Decreased? The landmark study on this topic was published in 2004 by Donald Davis. Entitled Changes in USDA food composition data for 43 garden crops, 1950 to 1999, the paper details the results of the measurements of 43 garden crops for 13 nutrients and how the data changed between 1950 and 1999. The results show that for 6 nutrients—protein, calcium, phosphorus, iron, riboflavin (Vitamin B2), and ascorbic acid (Vitamin C)—the medium decline was between 6% (for protein) and 38% (for riboflavin). Davis also goes on, saying there have likely been declines in other nutrients as well, including magnesium, zinc, Vitamin B6, and Vitamin E. Yet because these nutrients were not studied or measured in 1950 we have limited data on how much they may have diminished in our food supply; more research is needed to find out how much less of these key vitamins and minerals we are now getting. Other studies have found even more astonishing results. A study published in the British Food Journal on nutrient data from 1930 to 1980 found that in 20 different vegetables the average potassium content had declined 14 percent, calcium content 19 percent, and iron content 22 percent. 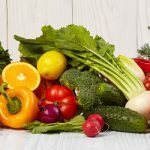 In general, the comparison of mineral content over this period shows significant reductions in magnesium, iron, copper, and potassium in fruit–and calcium, magnesium, copper, and sodium in vegetables. Another study conducted by the natural health Kushi Institute uncovered the same disturbing trend. When analyzing nutrient levels in food based on USDA data from 1975 to 1997, it was found that Vitamin A levels had decreased 21 percent, calcium levels 27 percent, Vitamin C levels 30 percent, and iron levels 37 percent. A different study, as reported by the Toronto Globe and Mail in 2002, analyzed food tables prepared by government scientists between 1951 and 1999. It showed marked declines in the nutrient levels in fruits and vegetables bought in Canadian supermarkets, and showed that potatoes had lost 100 percent of their Vitamin A and 57 percent of their Vitamin C, and even concluded that current consumers would have to eat eight oranges to get the same amount of Vitamin A as their grandparents obtained from one orange! Furthermore, there likely have been decreases in other nutrients commonly found in fruits and vegetables that aren’t the commonly-measured vitamins and minerals but provide important health benefits. Yet measuring other vitamins hasn’t historically been done, and measuring the levels of other phytochemicals like polyphenols and antioxidants is more difficult. How much have the levels of these valuable compounds–such as Vitamin K, Vitamin B12, lycopene, lutein, zeaxanthin, and many others–decreased? And how important is the balance between vitamins, minerals, and other phytonutrients in the foods we eat? Why Has The Nutrient Density In Produce Decreased? In the 1940s, approximately half of the U.S. population lived on a farm. Yet rapid industrialization and a shift toward urbanization resulted in a huge shift in where Americans lived. Today, we have only approximately 1-2% of the population feeding the other 98-99%. We also have much less land area devoted to farming. Compared to a population of 150 million in 1950, the United States now has well over twice the number of people to feed. And the price of food on average, in real terms, has decreased. “Advances” in farming and agriculture have allowed many more people that once farmed to do other things, and allowed those that do farm to do it much more efficiently: feeding more people at lower cost. But the consequence has been a decrease in the quality of the produce produced (and a decrease in the health of the land used to produce it). This focus on increased yield and efficiency in the food production and supply chain is at the heart of the problem. Yet how did this affect a decrease in nutrient density? This Natural Capsule Contains Anti-Aging Antioxidants You’re Probably Not Getting From Your Food. Evidence seems to suggest that if you select plants based on yield and shorter growing times, crops grow faster and larger at the expensive of taking up nutrients at the same rate. This means for a vegetable or fruit of a given size, it has less time to grow roots; shorter roots mean less nutrients from the earth can be incorporated into the plant or fruit. In the United States and much of the world, topsoil has been lost to erosion and the overuse of inorganic nitrogen fertilizers, and pesticides have killed beneficial bacteria and other microorganisms in the soil. This has resulted in topsoil depleted of vital nutrients and its vibrant ecosystem—and a decrease in arable land. Similarly, pollution has contributed to decreased topsoil nutrients and increased levels of chemicals in topsoil that may decrease nutrition. Similarly, due to years of tillage and inefficient or nonexistent crop rotation and the overuse of land, topsoil is often much denser and less nutrient-dense today than it used to be, meaning water and roots don’t move through it as easily—decreasing their ability to spread out and absorb the proper nutrients from the earth. The shift from small farms and shorter distances to the market to industrial production and longer transportation distances has also meant the selection of produce that ships easier and with less damage (for instance: tomatoes that have thicker skin) at the expense of other qualities such as nutrition. Long transportation distances have also necessitated picking fruits and vegetables earlier: before they are fully ripe and therefore before they have had a chance to absorb or produce as many nutrients as they otherwise would. Produce has also been bred for appearance and uniformity. Sometimes, this works partially in favor of nutrition; for instance, carrots have been bred over the years to be a brighter, deeper orange and as a result their levels of Vitamin A have increased. But more often, the result works against greater nutrition. Broccoli—bred to look better after shipping—has lost calcium and magnesium over the years. It seems selecting fruits and vegetables for longer shelf lives has also been a driver of decreased nutrition. Efforts to breed new varieties of crops that resist pests, and even resist drought and other climate changes, have also allowed crops to grow bigger and more rapidly–often at the expense of their ability to uptake nutrients from the earth. Pesticides have also allowed crops to grow more consistently, and resist diseases, while enabling decreases in the levels of nutrients in crops that otherwise help provide natural disease resistance. Similarly, the breeding of crops resistant to these pesticides may also be at the expense of crops that product the most nutrients. First of all, just because fruits and vegetables don’t have as much nutrition as they used to doesn’t mean you should stop eating them. In fact, quite the contrary: you probably need more! Just be careful to limit the amount of fruit you eat as sugar can have adverse effects on your body. There doesn’t, however, seem to be much of a downside to eat more vegetables. Total nutrient content in fruit and vegetables has so many variables, but your best chance is to buy local, in-season, organic produce. Organic farmers tend to use healthy crop rotation and soil reconstitution techniques while focusing on higher-quality produce rather than just quantity and speed. By doing things like rotating crops and using organic manure, the soil has a better chance of containing the right chemical composition and the produce is more likely to be maximally nutritious. Additionally, plants produce phytochemicals to fight stresses from the environment such as disease and pests. Synthetic fertilizers and pesticides result in less phytochemicals in plants and, therefore, crops grown without them tend to be more nutritious (not to mention less contaminated with chemicals). In a 10-year study conducted at the University of California, Davis, Dr. Alyson Mitchell showed that organic tomatoes can have as much as 30 percent more phytochemicals than conventionally grown tomatoes. Research shows that when fruit and vegetables are ripe they have the highest nutrient content; once picked, these nutrients start to degrade. Typically conventionally-grown produce from the supermarket tends to travel long distances before sitting on store shelves, and it’s often picked before it is ripe. In contrast, farmers markets offer local, freshly harvested produce that has had a chance to naturally ripen on the plant, maximizing its availability of phytonutrients. Shorter times and distances from farm to table mean higher concentrations of vitamins and minerals. Buy eating local food grown with the seasons, you eat foods when they are meant to be picked and eaten, and when their nutrient content is naturally the most plentiful. Foods picked at the proper time grown naturally, during the time of year when they have historically been grown, seem to be more preferable than the opposite. Not to mention in-season produce tends to taste better. While conventional food may normally be picked before its peak ripeness–and loses nutrients while it travels–frozen produce can overcome these obstacles. Food intended for freezing is often picked when it is fresh and quickly frozen: protecting it from losing nutrient content while it travels while at the same time being fresh when you go to eat it. Larger, prettier fruits and vegetables aren’t necessarily better. In fact, produce that grows quickly (and is therefore larger) often has less nutrient density. Plants can only convey so many nutrients from the soil to their fruit; oftentimes smaller produce is more nutritious. Similarly, conventionally-grown produce was often bred for appearances, while traditional varieties of plants grown organically may produce fruit that is less symmetrical or homogeneous in color or texture but higher in vitamins and minerals. Normally, the less a vegetable is cooked, the less the nutrients in it are degraded. Eat vegetables and fruits raw whenever possible. And when they are cooked, minimize their contact with water as it leaches nutrients out of produce. Heat degrades nutrients too, but steaming will allow produce to retain more nutrients than boiling. Some exceptions to eating produce raw are carrots and broccoli. Steaming actually helps break down the fiber in these vegetables and allows their nutrients to be more easily absorbed in your gut. Similarly, lightly cooking tomatoes, such as might be found in tomato paste, actually increases the bioavailability of lycopene. For the same reason that the shorter the distance your produce travels the better, so too is it preferable to eat your produce sooner after you buy it. Time destroys nutrients. Only buy the fruits and vegetables you plan to eat that week if possible. Prepare your fruits and vegetables right before you eat them. Preparing produce in advance—such as chopping up or pealing fruits and vegetables—or buying already-prepared produce may save time, but nutrients are reduced the more, and longer, a fruit or vegetable is exposed to air. Preparing at the time of consumption maximizes phytonutrient content. People tend to eat the same types of food over and over, but by doing so they may be missing something. The levels of nutrients vary widely among different fruits and vegetables, and by altering the varieties you eat, you most likely increase your chances of getting a well-rounded vitamin and mineral profile. While it can be difficult to determine what has been selectively bred recently and what has remained largely unchanged since pre-industrialized farming, it is worth trying to eat older varieties of produce. Vegetables and fruits from heirloom plants—usually at least 50 years old but often from varieties that existed prior to World War II—oftentimes taste better and may be more likely to contain higher nutrient levels than their conventionally-grown and bred counterparts. If you have the land and the time, this is a great way to control the process and know what you’re getting. Choose the right seeds and plant a seasonal garden. Even just a few varieties of vegetables can add some quality produce to your meals. It may be more difficult now than ever to meet your RDA levels of vitamins and minerals from unprocessed foods. Supplements can help. While results for some types of supplements have been mixed, a huge number of studies have shown dramatic benefits in decreased cancer and disease risks for those who take supplements. And there is no doubt that getting a vitamin or mineral from a supplement is better than being deficient. For instance, it’s estimated that a great majority of the population gets less than the daily recommended amount of folate and other B vitamins and would benefit from supplementation. This may hold especially true if the foods you are regularly eating have decreased amounts of nutrients. Beyond vitamins and minerals, supplements can also provide antioxidants and other phytonutrients that you may not get in the foods you regularly eat but that have been shown to provide dramatic health benefits. One example is Sunsafe Rx. 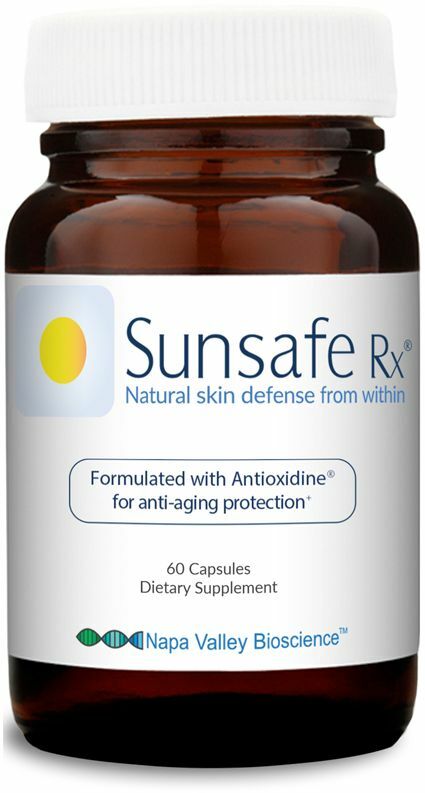 With antioxidants that would be nearly impossible to consistently absorb from foods, let alone at the ideal ratios, Sunsafe Rx provides nutrients that have been clinically shown to protect your skin and eyes. Even if you eat a healthy, well-rounded diet including nutritious fruits and vegetables, supplements can still provide additional benefits.